We spent the last few days in Australia tucked away in a cabin in the Blue Mountains for a little rest and relaxation after the holidays and a ton of sightseeing. It was truly refreshing and very needed after much traveling, moving, packing, and exploring! We are thankful to our hosts (the Roberts Family) who dear friends from CA (thank you too, Elliotts) connected us with. Their beautiful, secluded, mountain retreat, set atop a cliff with stunning views of the Jameson Valley below, provided the perfect setting for a little uninterrupted family time. Below is a photo of the infamous Three Sisters. Longer than I could photograph! So many rivers, creeks, waterfalls, and views! 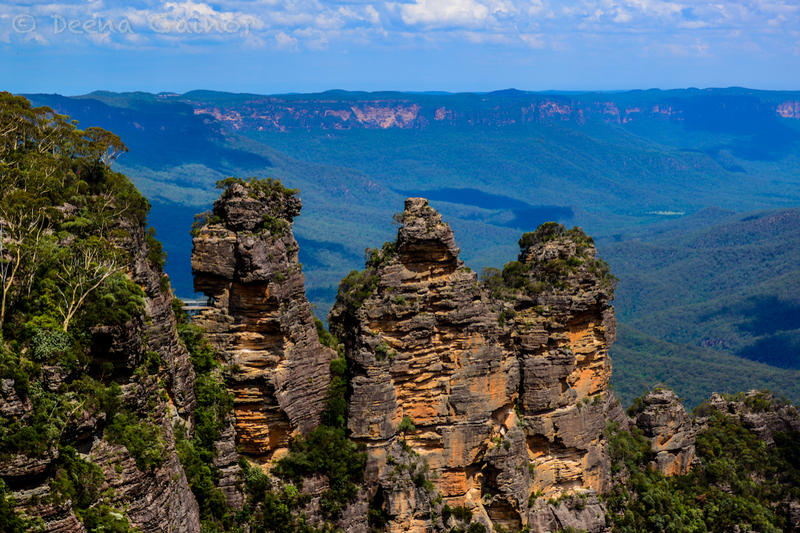 The Blue Mountains are not to be missed. They are just one and one half to two hours west of Sydney and the drive out is very simple. Or, you could hop on a train and get dropped off right in Leura or Katoomba. The transportation there is quite easy. Just remember to stay to your left if driving. Also make sure to stop in to the Chocolate Shop, where you can get more than just chocolate. Check out their homemade jellies! Delicious. 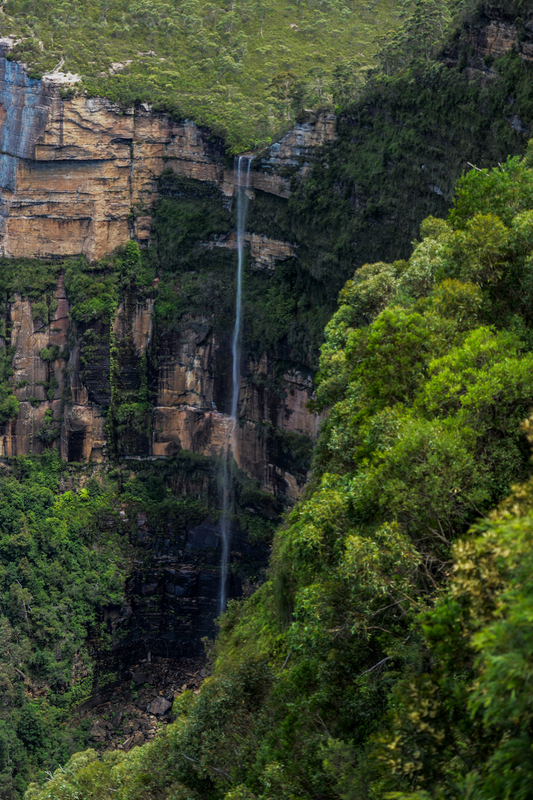 And if you want a few stunning views from high above or want to ride the steepest railway down the mountain, you may also want to consider a visit to Scenic World. Note the tiny yellow “Skyway” below in the middle photo. That should give you a good sense of scale. 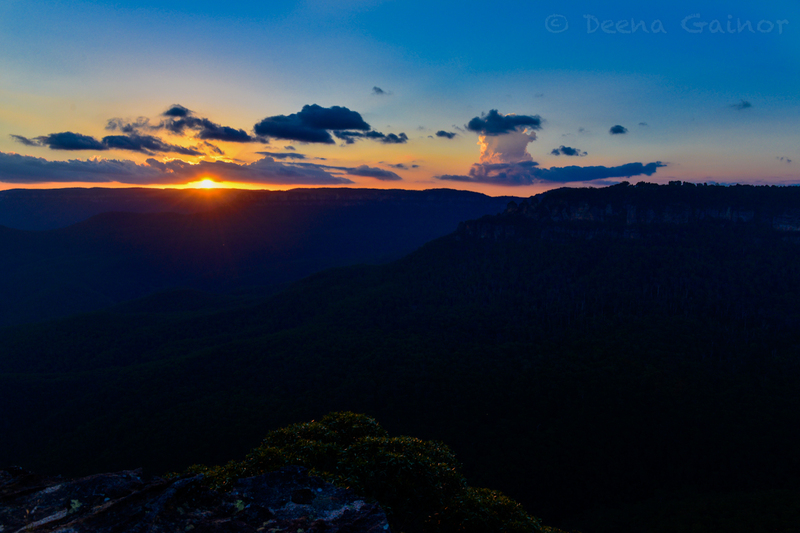 And finally, our last sunset as we said good-bye to the beautiful Blue Mountains. Spectacular!